Buffalo Mitts are a great idea perfect for night runs coming in a variety of colours with the Hi-Viz having reflective strips over the back of the hands. Buffalo Mitts are specialist mitts, a piece of kit from one of the least fussy, most efficient brand of outdoor gear on the market. Buffalo make some of our favourite pieces of kit and their mitts are the undisputed No1. 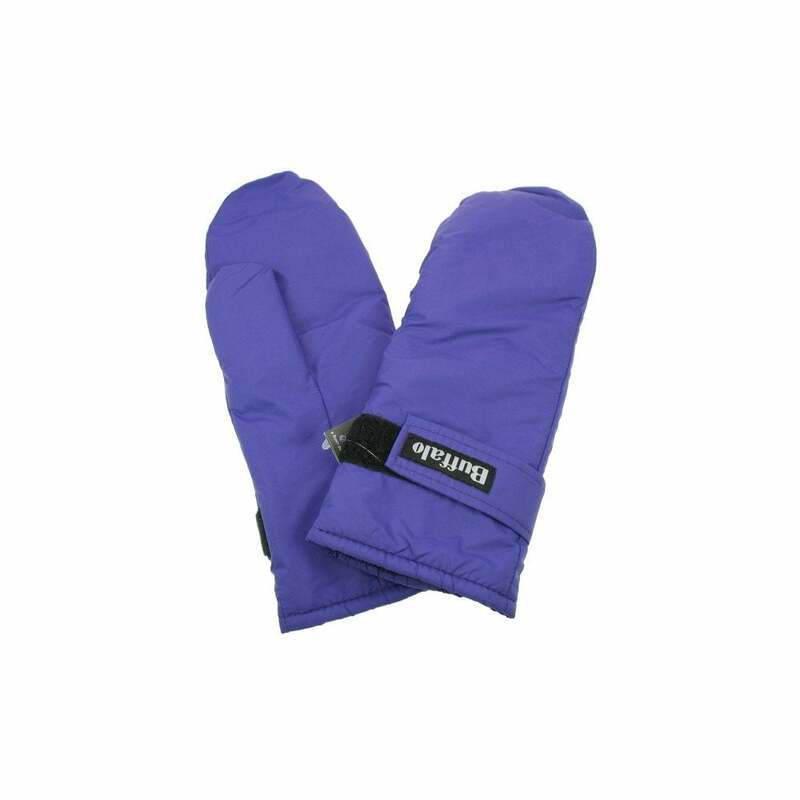 Buffalo Mitts are made frpom their patented Pertex & Aquatherm Pile system, which wicks moisture away from the skin and disperses it through the Pertex, these mitts keep your hands warm even when wet. In fact, the best way of drying Buffalo clothing is to wear it - the moisture dispersal system is what is efficient! True, they don't look fancy (in fact, if you gave a bunch of five-year-olds some crayons and told them to draw mitts, this is what they'd come up with), but believe us - they work. Excellent super warm mitts from Buffalo for all your cooler adventures!